Produced by Jesse Damon and Paul Sabu. Recorded by Paul Sabu and Michael French. Mixed by Paul Sabu and Michael French. Recorded and mixed at Valley Center Studios, Van Nuys, Ca. The French Brothers Studios, Burbank, Ca. Preproduction & additional recordings at Fort Rocks 1 Studios, Pacific Palicades, Ca. Mastered at A&M Records by Arnie Acosta and Moonlight Mastering by Nancy Matter. Track 08 : "Everybody Needs Somebody" written by Gene Simmons and Jesse Damon, this song was considered for use by KISS on their "Psycho Circus" album (1998). The song was originally written in the era Gene Simmons was working with Jesse Damon's band SILENT RAGE, specifically the "Revenge" album (1992). 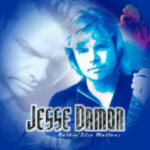 Born and raised in Southern California, Jesse Damon began singing, and playing guitar at an early age, and music became his pathway in life! After years of performances, and lots of hard work, Jesse forged a melodic signature sound for himself. SILENT RAGE debut CD entitled "Shattered Hearts," followed by "Don�t Touch Me There," and the 2002 release "Still Alive!" Next, he co-wrote the song "Thou Shalt Not" with Gene Simmons on the KISS CD "Revenge,"
which resulted in a Gold Album for Jesse. He sang back-up on KISS "Hot In The Shade" &" Revenge" albums, and has demoed numerous songs for the albums "Carnival Of Souls," & "Psycho Circus." Jesse also received Emmy Award Certificates for his contribution in Set-Lighting on the Television Production Sit-Coms "Frasier" & "Sister Sister." 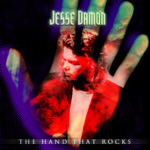 His latest accomplishment is the release of his debut CD "The Hand That Rock�s." Jesse has appeared on several different compilations, and sound tracks, and attributes much of his success to his songwriting, and collaborating with talented musicians. He has worked with some of the best producers, session musicians, recording artist�s, and songwriter�s in the business!